Skyline strikes first but your Varsity Stangs keep the bit between their teeth and earn the 1-1 draw! Everyone and their grandmother had this match circled on the calendar – the KingCo 4A leading 8-1 Redmond Mustangs against perennial powerhouse Skyline, who were riding a five game winning streak. Right off of the opening whistle, Skyline applied pressure against the RHS back line, resulting in a few early errant passes but Redmond was able to ride the swell and eventually settle down. The intensity was on full display, and it was fun to watch Diaz wrestle the ball away from the Skyline coach for a throw in. The Stangs also showed some early offensive promise and were able to get in a few Stein to Dadzie connections. Unfortunately, the early promise didn’t produce immediate dividends for the Stangs, and they found themselves playing catch-up after a Spartan corner in the sixth minute went un-cleared and hit the back of the near-post net for the 0-1 Skyline lead. The RHS defense was working overtime to ensure that the one goal deficit did not grow larger. A scary Skyline corner bounced around in the RHS box for a spell and was flicked by keeper Escalante’s outstretched hand to the trusty foot of Bury for the clearance. As the match progressed, Skyline leveraged the long throw to put balls dangerously deep into the box from the touch line, and Escalante and Co. were repeating the “bend but don’t break” mantra to themselves. Redmond countered and found some good looks themselves, with a Stein pass searching for an unmarked streaking Rabadan on the wing, only to be frantically smothered by the Spartan keeper at the top of the box. After a few minutes another chance emerged, with Henandez delivering a wonderful cross to a very dangerous place but alas no Stangs were reared to tap it in. Redmond was also bitten by the offside bug a few times in this match which negated sure offensive chances from Stein and Dadzie runs. As the half wound down, a Michalski feed to a sprinting Price down the left wing raised some hopes and resulted in a shot on goal, which was saved and swatted out by the Skyline keeper for an RHS corner. The Stangs came out for the second half with renewed determination and grit. The excitement and anticipation levels were palpable. Redmond quickly found themselves with possibilities, Michalski and Dadzie leading the charge deep downfield for a cross just past the outstretched foot of Stein. On the defensive side of the ball, freshman Hammond played with good awareness and stifled some Spartan attacks which were sure to otherwise materialize. The intensity levels escalated as the match wore on, and Redmond fans were wondering if the Stangs would be rewarded for their persistent scurrying and hard-nosed scampering. And then it happened – with three minutes left in regulation, Dadzie picked up a free ball and casually offered a side-foot flick from midfield to a charging Stein who broke free of two defenders and befuddled the Skyline keeper with a near post strike. 1-1! Overtime saw Redmond riding the momentum wave and with the Spartans on their heels, the Stangs provided virtually all of the offensive chances. A Diaz cross to a Dadzie header had some promise, but was nabbed high in the air by the Skyline keeper. A couple of minutes later, a Stein corner to a Dadzie one-touch strike looked like it had a chance, but alas, no dice. Great fight, Stangs! Your Varsity Stangs – Risin’ Up to the challenge and taking down Inglemoor 3-1! Looking to rebound from the previous match’s 0-1 loss to North Creek, the Stangs desperately wanted to regain their collective Eye of the Tiger. And while the Stangs still stood on the top of the KingCo 4A standings, all Redmond fans would agree – it would be a good night to get Back On the Street with a result! With a lineup shuffle in this match due to missing personnel, Redmond initially seemed out of sync defensively. 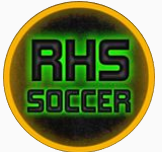 An early Inglemoor solo breakaway caused all sorts of nervous chatter until the strike was blocked by keeper Escalante and cleared by the RHS back line. Redmond combatted the jitters by getting back to basics – controlling the middle and wreaking havoc up top and on the wings. Nice ball movement sequences between Diaz, Cain, Michalski, and Stein reminded fans how much fun this team is to watch! Meanwhile, Bury was taking a page from the gazelle of the savanna, prancing forward, blending into his surroundings and going completely undetected by his opponents. Undetected that is until he found himself in a large patch of empty space after receiving the ball from a scampering Tibbs and launched a beautiful top shelf strike which left all Redmond fans delirious. A few minutes later, the Stangs’ slicing and dicing midfielders were starting to attract significant Inglemoor attention. These distractions left a sprinting Rabadan wide open on the wing to receive a delicate “split-the-defenders” pass from Hernandez which Rabadan took to the hole for the second RHS goal! Redmond continued their solid play into the second half, where their “first to the ball” work kept paying dividends and frustrated their opponents. A Stein free kick from waaaaaaay downtown caused all sorts of aerial bother for Inglemoor until the RHS friskiness was deemed excessive and were called for the foul. Numerous additional chances appeared for Redmond, and the offence was firing on all cylinders. A bit later, Mr. Kieneker decided to get in on the action by dancing the ol’ soft shoe around multiple Inglemoor defenders as he gently caressed a pass with perfect weight to a charging Dadzie for a sweet one touch into the back of the net. With time winding down in the match, an Inglemoor corner bounced around in the RHS box a bit too long and eventually found its way into the goal, despite the Stangs’ protestations of offsides. The goal seemed to energize both sides, with Inglemoor riding the wave of renewed optimism, and Redmond channeling the frustration of a questionable call. A late Inglemoor free kick just outside the RHS box caused some gnashing of teeth and biting of nails, but the threat was quickly extinguished. A minute later, Price found a completely unmarked Dadzie on the wing earned a Stangs corner with a ricochet off the Inglemoor keeper. Redmond was able to control the ball in the waning minutes, and sealed the victory! Still moss free as the JV Stangs gathered another shutout win, rolling over Inglemoor Vikings 3-0!! With the season just over the half way mark, our boys remain top of the table, unbeaten and still unscored on. Hosting a determined Inglemoor at Seabloom field, the Stangs continued their streak with some creative plays and great team work. The Vikings started the game with some early attacks but lacked finishing or were quickly stifled by our midfielders and back line. Within minutes the Stangs quickly turned the tide with some creative play from midfield, keeping the Vikings’ goalie and defense busy. Trying to weather the Stangs attack, the Vikings had to play defensively, sometimes stacking 7 to 10 players in defense. This however, was not enough to stem the green machine making full use of the flanks. In the 20th minute, Jacob got out of a tight situation on the right touchline and floated a cross to the top of the Vikings penalty box in the middle to a waiting Trent who deftly back headed the ball to his left to Will. Calmly cushioning the ball, Will then blasted in the Stangs’ first goal. The Vikings needed to raise their level of play and did so with some strong defensive plays and almost had a chance at the 32nd minute. An intercepted Redmond pass at the back was followed by a cross but saw no Vikings up front to take advantage due to their defensive play. Our back line quickly contained the situation keeping the one goal lead at half time. The Stangs got right down to business in the second half. Within a minute of the starting whistle, a Pablo pass from the middle of the field found Jacob, who’d timed his run perfectly to beat an offside trap. Controlling the ball with his head and another touch with his right foot, Jacob slotted the ball between the outstretched arms of the Vikings goalie and the upright for the Stangs’ second goal. Firmly in control, the Stangs kept the Vikings’ defense on their toes. With the constant pressure, the Vikings’ dam started to breach again. In the 47th minute, a foul on Ian 20 yards outside the penalty box saw a nice freekick from Julian chipping over the back line. Ian had the ball in the net with a header but was closely ruled offsides. Eventually the Vikings’ dam burst. In the 58th minute, another Redmond attack saw Cole Poly tripped up almost level to the first foul but on the right this time. The resulting free kick from Luke was met by Ian who headed in the Stangs’ third. The Stangs kept the action in their opponent’s half right up till the end and got close to extending the lead a few times had it not been for the fine performance from the Vikings’ goalie. As it stands, three teams remain unbeaten in the league with only goal differences separating them. Level at 15 points, we have Issaquah (on second) and Eastlake (on third) nipping at the Stangs’ hooves. The Stangs’ next game is a non-league game against Curtis High at home this Friday which should help prepare for an exciting and important game next week against the Skyline Spartans on the Sammamish Plateau. The Spartans are currently fourth in the table, the only other team with double-digit points (12), having lost only one game. If you can make it, do come out and support our boys next Tuesday (4/9/19). JV Stangs, galloping at full speed, maintains perfect record as they rout North Creek Jaguars 5-0 away! Rain or shine, home or away, nothing seems to tamper the thundering hooves of the JV Stangs. Parents, relatives and friends who made the trip up north were treated to some beautiful soccer from our boys on a lovely sunny Tuesday evening. Coach Antonio’s well-tuned machine got down to business right away from the starting whistle. With superior horsepower and torque our front line stretched the Jaguars’ defense with their signature probing runs and barrages while our back line and goalie applied the Brembos to any inkling of an attack. Our stalwart midfielders marshaled attacks and backed up the defense when required. Heard this script before? It wasn’t too long before the first dividend was paid. At the 7th minute, a through pass from Amir at midfield found Luke on the left wing, who floated a beautiful looping cross toward the top of the 6-yard box. An onrushing Ian made no mistake with a leaping power header into the net giving the Jaguars’ goalie no chance. This seems to jolt the Jaguars as they tried to string a few attacks of their own. But true to the script, the Stangs packed the defense with 5 to 10 men to stifle their opponents. Before too long, the Stangs got the game firmly in control, keeping the ball mostly in the Jaguars’ half and pulling the seams of their defense. The Stangs almost doubled their lead in the 26th minute. A one-two pass between Ian and Alan saw Ian’s pinpoint backheel met by Alan but the upright got in the way of his shot. The Jaguars started playing the offside trap to contain our speedy forwards but paid dearly for it in the 30th minute. A superbly placed through ball by Pablo was latched on by a quick Ian after beating 2 defenders. A third defender on the left had played Ian onside by a yard when the ball was passed. Sprinting to the right side of the 6-yard box, Ian slotted home his second goal with a diagonal shot. The Stangs maintained control of the game in the 2nd half. A creative play at the 42nd minute saw Ian using his speed to outrun a defender to collect a through pass near the end line left of the Jaguars’ goal. His pass wide to the left teed up Julian for nice cross across the Jaguars’ goalmouth to a waiting Jacob on the right just inside the 6-yard box. Deftly controlling the ball, Jacob bulged the Jaguars’ onion bag for the Stangs’ third. Not known for resting on their laurels, the Stangs continued with their attacks from the flanks and another dividend was collected in the 51st minute. A looping cross – this time from left winger Luke – was met by Ian inside the Jaguars’ 6-yard box who then nutmeg the goalie to complete his hat-trick (and the Stangs’ fourth). The Stangs put a bow on the game in the 76th minute. A beautiful pass from the left found Trent near the Jaguars penalty box. He gave the goalie no chance with a screamer into the back of the net for the Stangs’ fifth. With this win, the JV Stangs stays on top of the JV KingCo 4A level on points with Issaquah on 2nd and Eastlake on 3rd with only goal differences separating the three. The Stangs remains the only team with a clean sheet. Onward to the next game. On a beautiful day for soccer at Walter L. Seabloom Field, the Mustangs took on the Juanita Rebels. Although a conflict of interest was present for Coach Fleming (a Juanita alum), the boys helped him get over it as they dominated the game with possession and, eventually, on the scoreboard. Coach Fleming’s grandparents, who were in attendance, were an oddly motivating factor for the boys, as they seemed particularly enthusiastic about helping him not lose in front of his grandma. The scoring opened quickly with Max Klyuchko scoring a clinical goal, but the scoring wouldn’t resume until later in the 2nd half, despite the constant control of the ball by the Mustangs. In a story similar to the Inglemoor game, the Stangs had all the chances and yet couldn’t quite out them to good use. Luckily, the backline of Kyle Statkus, Rishab Rajeev, Dan Firstenburg, Jaden Low, Kyle Volta, and Dhruv Chittamuri (I know, that’s a lot of names) were dominant in providing few, if any, real chances to the Rebels and even moreso led the charge in possessing, swinging, and pushing the ball forward. With Max’s goal, the boys took a 1-0 lead into halftime. The Stangs, having been in possession all day, were charged with being more aggressive and creating more chances in the second half, and that they did. Michael Lee found the back of the net for the first time this season having just made the move to LM from CB, with the assist from Max Klyuchko. The second of the three goals in the half was provided by Zan Litovkin, who chipped the goalie from 25-30 yards out and then proceeded to celebrate by raising both hands like Andy Dufresne after he escapes from Shawshank. The closing goal was a beauty, with Eli Friedman putting away another goal after a beautifully unselfish assist from Caio De Oliveira. Congratulations to the boys, who have now won 5 straight games by a total margin of 15-1. Go Stangs! Redmond C-Team Scores Late Again to Beat Inglemoor, 2-1. Ladies and gentlemen, your Mustangs are officially on a roll. 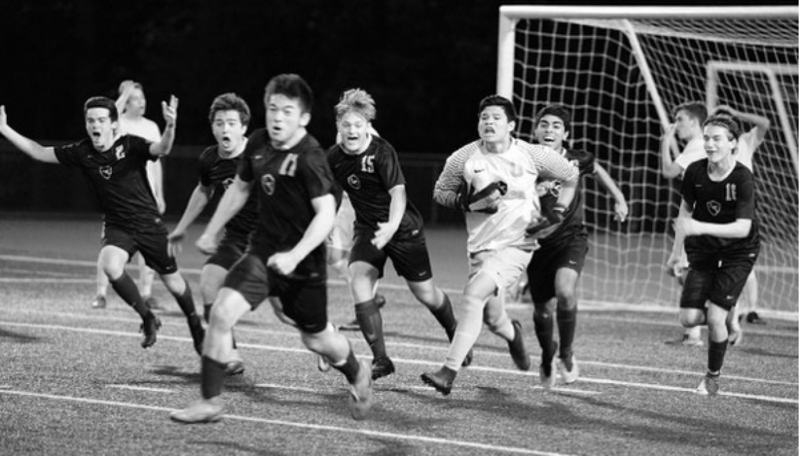 After losing their first game to Woodinville, the Mustangs rattled off their 4th win in a row to move to 4-1 on the season with another goal in the waning moments of the game, leaving Coach Long and Coach Fleming curious as to whether or not the boys think they can only score right before the game ends. The boys moved the ball well throughout the game, possessing beautifully and finding many chances, but they weren’t able to put one home until the end of the 1st half after they had just conceded their first goal in 3 games, when Eli Friedman got on the receiving end of a beautiful through ball from Max Klyuchko and tucked it home in the bottom left corner. During the 2nd half, chances continued to come but goals were hard to come by. The boys stuck with it though, and were rewarded after Max Klyuchko played a great ball out to Alex Staggs, who sent a beautiful cross low and hard on the ground to Caio De Oliveira, who made a beautiful run but couldn’t put it away. The deflection of the goalie came straight back to Max Klyuchko who ripped it home and brought the Mustangs their 4th win. Congratulations to the boys on moving to 4-1 on the season and getting a big win in the closing seconds yet again!